Creation of a science office at DEP. Commitment to enforce environmental regulations. Additional stormwater treatment for the C-43 reservoir. Commitment to protect Apalachicola River and to stop State of Georgia's harmful water withdrawals affecting Florida. 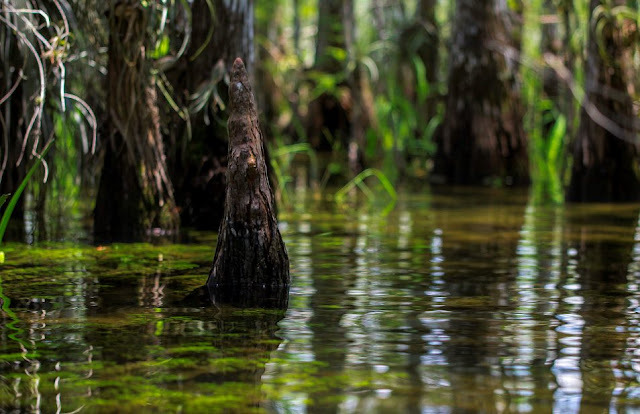 We oppose immediate work on the poorly designed Everglades Agricultural Area Reservoir. It first needs to be redesigned to include a shallower, wider reservoir with a major land purchase to provide for the necessary treatment of water from the reservoir before it is released south to the Everglades. There is no mention of the need to work with the Department of Agriculture and Consumer Services (DACS) to address agricultural pollution. There is no mention of the need to combat climate change which is making Florida's waters warmer and intensifying harmful algae blooms. Like Governor Scott, Governor DeSantis opposes offshore drilling off Florida's coasts without also opposing new drilling in the Eastern Gulf of Mexico which is the oil industry's real target, or the expansion of inland oil drilling within the Greater Everglades. Governor DeSantis needs to oppose acid matrix limestone fracturing which is how the oil and gas industries do fracking in Florida. We are disappointed that he singles out "hydraulic fracturing" which isn't the form of fracking that is done in Florida. Last year's bipartisan bills banning fracking recognized this distinction. Nutrient pollution feeds/fuels both blue green algae and Red Tide. Nutrient reduction strategies and regulation should also be focused on preventing Red Tide that threatens coastal communities. Just studying Red Tide is not enough. The failure to make a commitment to the reinstatement of strong statewide and regional land use planning. Governor Rick Scott dismantled the Department of Community Affairs, which had overseen large-scale developments impacting Florida’s natural resources for over three decades; Governor DeSantis can and must compensate for the last eight years.